francis coppola has thankfully returned to actually directing films rather than simply paying other people to do so; he has finally sorted out his finances with a pretty magnificent vineyard business; and with his american zoetrope magazine gives a heck of a lot back to the kind of people whom i guess remind him of himself when he was younger - people who want to do nothing so much as tell stories in the cinema. it's over ten years since his last film, and in that time he has tried and failed to mount an enormous film with an enormous name - 'megalopolis' - what would have probably been a sci-fi amazement; but in the past couple of years he turned his attention to the romanian philosopher and cultural theorist mircea eliade, and specifically his novella 'youth without youth', a story of a professor determined to find the original language of the human species, and who is led on a mysterious journey when being struck by lightning leads him to regress into his own youth. what would the original human language sound like? what would it mean if we could hear it? is love the only force that transcends everything else? probably. i'm pretty sure francis coppola thinks so, and i'm glad he's back in the game that he plays best. 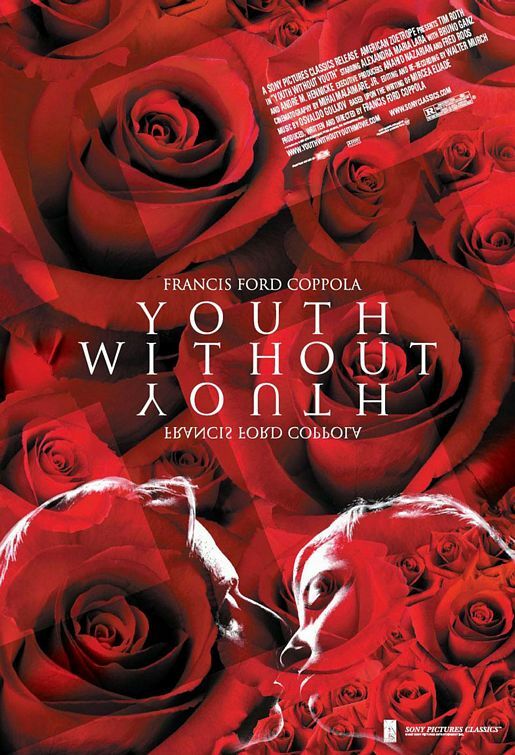 'youth without youth' is a strange film that manages to be monotonous and thrilling at the same time. it will leave you scratching your head in frustration at some scenes, and desperate to see some other parts of it again. if you care about cinema, you should see it.